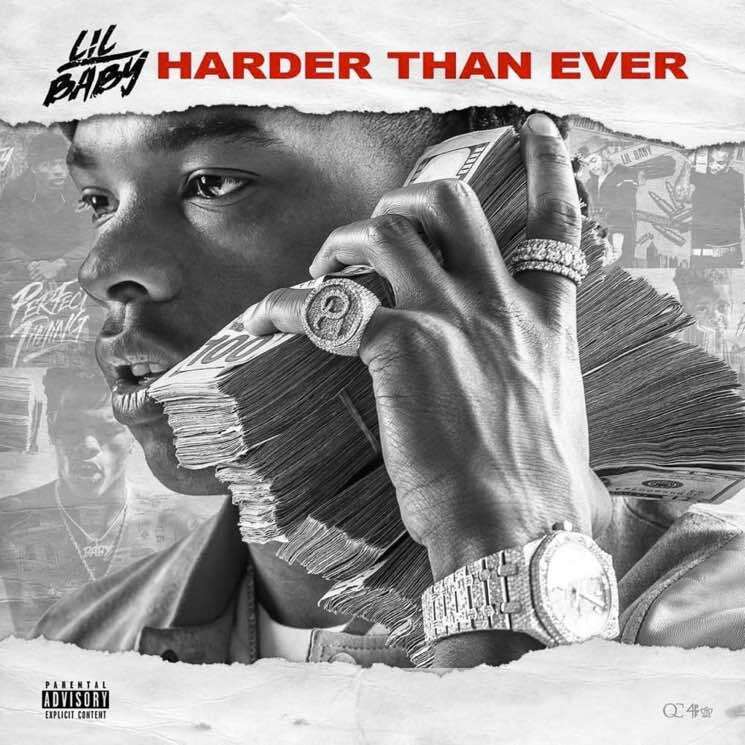 Lil Baby drops his latest offering Harder Than Ever this week, and the young Atlanta rapper has now detailed the upcoming release. In addition to unveiling the album artwork (pictured above), he's also shared the guest-laden tracklist. We already knew that Drake makes an appearance on "Yes Indeed," and now Lil Baby's revealed that the tape also features guest spots from Starlito, Money Bagg Yo, Gunna, Young Thug, Lil Uzi Vert, Offset and Hoodrich Pablo Juan. As for production credits, there are tracks by Quay Global, Southside, Tay Keith, Wheezy, Turbo, London, DJ Durel and Earl the Pearll. See the full tracklisting for Harder Than Ever below. It arrives in full at midnight (May 18) via Quality Control Music/Motown/Capitol Music Group.